I’ve always been magnetized to pregnancy and childbirth. When I was a child, instead of cartoons, I watched “A Baby Story” on TLC and my family could never figure out why I was so obsessed with the bond between mother and baby. As an adult, I received my Masters degree in Counseling and Student Development, and spent years shepherding college students through the initial, disruptive years on their own. Working in the counseling field taught me to hold space for big emotion, to ask hard questions, and to help others find their inner voice during transformational experiences. I’ve always loved taking care of people, but as I grew into myself more deeply I began to realize that the people I love supporting most are one’s who give birth. 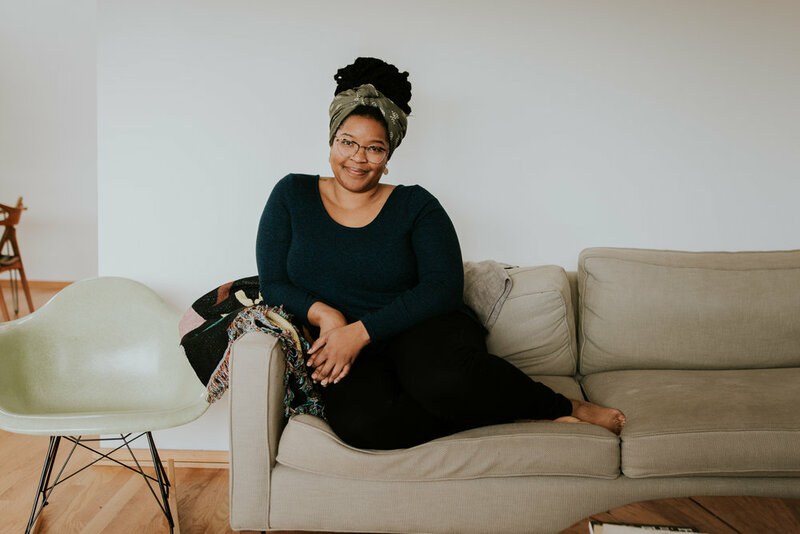 When I learned about the role of a Doula, the dots began to connect. I love everything about this job: the complexities, the intersections, and the relational dynamics. Birth encapsulates all of the messiness of being human, and I love teaching people that the vulnerabilities of our imperfection bring us closer to one another. When I’m not supporting birthers and babies you can find me making magic in the kitchen, snuggling with my dog, reading comic books, hiking, hopping on a ferry, or taking a day trip for the sole purpose of a good meal.